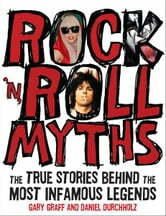 It's perhaps the relative modernity of rock 'n' roll that makes the genre a minefield of myths and legends accepted as truth. History hasn't had time to dissect the bunk. Until now. 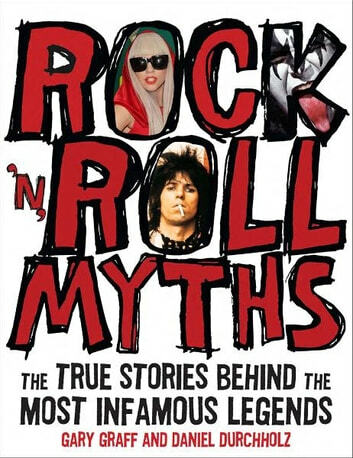 Discover the real stories behind rock's biggest crocks, how they came to be but why they have persisted. Did Cass Elliott really asphyxiate herself with a ham sandwich? Did the Beatles spark a spliff in Buckingham? Did Willie Nelson do the same in the White House? Did Keith Richards get a complete "oil change" at a Swiss clinic in 1973 to pass a drug test necessary to embark on an American tour with the Stones? Then there's the freaky (did Michael Jackson own the remains of the Elephant Man? ), the quasi-medical (Rod Stewart and that stomach pump? ), the culinary (did Alice Cooper and Ozzy Osbourne really do all those things to bats, chickens, etc. onstage? ), and the apocryphal (did Robert Johnson sell his soul to the Prince of Darkness in exchange for mastery of the blues?). In all, more than 50 enduring lies are examined, explained, and debunked.